TeXtreme­® Spread Tow Carbon Fiber Fabric increases the performance as well as reducing the laminate weight up to 20%. 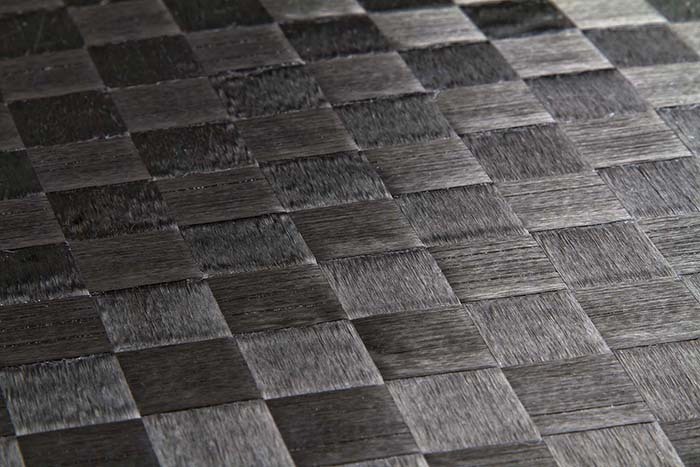 In this fabric the carbon fiber tows are spread out into thin tapes that can range from 20mm up to 50mm in width. In a typical woven 50" 3k Plain Weave 200gsm fabric you will have about 23,000 places where the weave overlaps or also called a crimp. Each crimp in the fabric has a very small area where excess resin will accumulate. With these TeXtreme® fabrics you eliminate the amount of crimps by over 90% which in turns eliminates the amount of area where excess resin can accumulate. They are very small amounts but in one yard you reduce over 21,000 of these super small resin pools. This reduction in excess resin will yield a part that is almost 20% lighter than a standard laminate. In addition to the light weight advantages, you also have very minimal fiber crimp which will yield parts as strong as a uni directional laminate. 2.95 oz Carbon Fiber Spread Tow 39"
4.72 oz Carbon Fiber Spread Tow 39"